These words scare many men. Why? Because prostate cancer is the second leading cause of cancer death and men hear more and more stories about it. MedlinePlus also states that the lowest number of cases occurs in Japanese men living in Japan, unless a previous generation in your family has lived in the U.S. Cancer incidence is even lower in the Okinawan region of Japan. Those who are vegetarian are also at lower risk. African-American men should take special note of what research is revealing. They have the highest prostate cancer incidence in the world. Not only do they develop prostate cancer twice as frequently as Caucasian men, they are twice as likely to die from prostate cancer as other American men. Although genetics may play a role, diet is clearly a major factor. 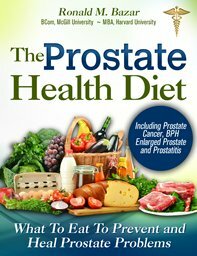 Eating food containing a lot of animal fat is linked to prostate cancer. On average, African-American men eat 2 to 3 times more fried, broiled and grilled meats. Preparing meat in these ways produces a carcinogenic substance known as heterocyclic amines. If you're an African-American man or care about someone who is, the best way to lower the risk of prostate cancer is to limit intake of fried, broiled, and grilled meat. Commercial factory farmed meats are the worst and have many potential prostate causing ingredients compared with free grazing natural, grass-fed meat. Before we jump into the quagmire and try to make sense of all this info, let’s first step back and look at the information on prostate cancer from a different perspective. 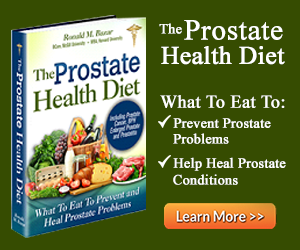 Prostate cancer is a relatively new disease, as are most cancers. Any explanation that does not address this fact may easily miss crucial information. There is something that we started doing in the past 60 years that is new and deadly. Secondly, prostate cancer is primarily a Western disease. It is rare in rural Asian and other non-Western communities, as is BPH or enlarged prostate. We will examine true causal factors later. 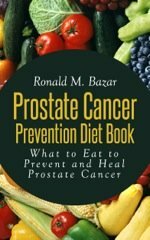 So, what information on prostate cancer does the medical establishment provide? Let’s critically review that prostate cancer information, keeping the above factors in mind, as we assess it.